CHICAGO, IL — Cheesemakers of the Maine Cheese Guild (www.mainecheeseguild.com/MCG-build) won 7 ribbons including two blue ribbons for first place in their categories at the 2008 American Cheese Society (ACS – www.cheesesociety.org) Competition. 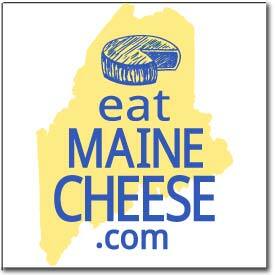 Six different participating Guild cheesemakers won at least one award. The judging took place at the annual ACS Conference, held in Chicago, IL this year, and included 1149 cheeses entered from 187 North American cheese producers making this one of the largest U.S. cheese competition in history. The winners from Maine competed in a broad range of categories and styles using cow’s, goat’s , and sheep’s milk, several of them organic. Because the competition provides useful feedback to cheesemakers from the judging in addition to the chance to win a nationally recognized award for their efforts. The ribbons were awarded on July 25th in the Merle Reskin Theatre in front of hundreds of conference participants including many of the competing cheesemakers. * Entering companies must hold current membership and be “in good standing” with the ACS. * Cheeses entered into the competition must have been available for sale to the general public at least 12 months prior to the competition. * Cheeses entered into the competition must be characteristic of the accepted guidelines for the category in which the cheeses are entered. Entries are judged by teams of technical and aesthetic judges, with each team scoring the individual entry based on a cumulative point system. In order to be eligible for a First, Second, or Third place ribbon, scores must meet a minimum number of points for each level. If no entries meet the minimum score for a placement level, such as first or second place, then an award is not given for that level. Point total ties were recognized for second and third place, but first place ribbons were given only to a single cheese in each category. Posted in Guild, News and tagged ACS, Awards.